Natural décor and accessories work perfectly with this simple yet elegant shaker design. The reeded pilasters and glass doors add interest to the mid section. 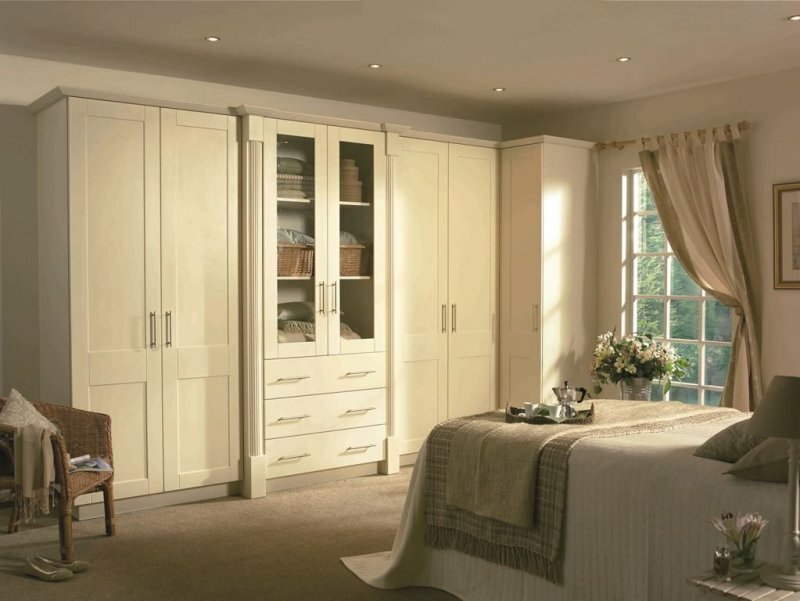 The end result is a very calm, understated bedroom with broad appeal.